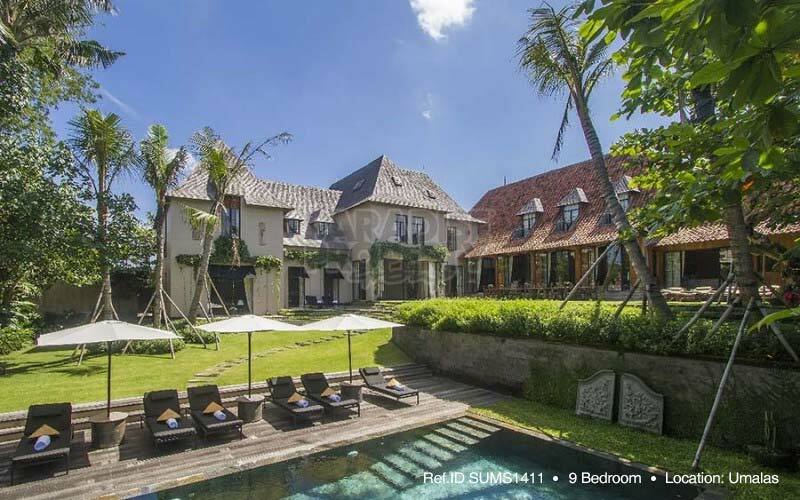 Foreigners wishing to purchase property in Indonesia, whether for personal or commercial purposes, need to be aware that the property laws and ownership structures differ from the legal conventions that apply in their home country. Indonesia has stringent requirements in regards to acquiring property and a set of ownership titles for both locals and foreigners, which makes ownership possible for anyone. Hak Pakai or Right of Use is a title over Freehold land and entitles the holder to use the land, including (subject to permitting requirements) the right to construct buildings. A Hak Pakai title may be held by foreign individuals and foreign representative offices as well as Indonesian citizens and legal entities established under Indonesian law. For foreigners to acquire a Hak Pakai title, they must be a resident or domiciled in Indonesia and therefore must hold a limited stay permit (KITAS) or a permanent stay permit (KITAP). According to the Government Regulation (PP) no. 103 Year 2015, the term of granting rights to foreigners is specified to having a single property. Foreigners can acquire usage rights for 30 years. If the period has expired, it can be extended for another 20 years, then after a span of 50 years, the foreign national may renew his usage rights for a period of 30 years. In total, the given Right of Use period can reach 80 years. Previously, in the provisions of Government Regulation (PP) No.41 of 1996, the Right to Use title for foreigners was shorter. The foreigners could only acquire the Right to Use for 25 years. After the 25 year period, the foreigners could renew their Right of Use period for the next 25 years. So, the total time period that could be obtained was only up to 50 years. Under current laws, a Hak Pakai title is the only registered form of entitlement over land that can be granted to a foreign individual which can be evidenced by a land certificate reflecting the name of the foreigner and the term on the certificate which serves as formal evidence of this form of ownership right. In accordance with Indonesian law, this title can be sold, gifted, exchanged and/or bequeathed, unless the deed of conveyance specifies otherwise, but under a Hak Milik title, it cannot be used in the form of a mortgage. Hak Sewa or Leasehold title entitles the holder the right to use an empty plot of land or the building(s) on someone else’s land for a fixed period of time. A Leasehold Right title can be granted over land currently held under a Freehold title (Hak Milik), Right to Build title (HGB) or Right to Use title (Hak Pakai). Indonesian individuals, Indonesian legal entities and foreign individuals and legal entities resident in Indonesian may acquire Hak Sewa. The period of lease is generally around 25 years and usually there is an option to extend the lease, which will be specified in the agreement. In accordance with general principles of lease laws, the right cannot normally be sold or otherwise transferred without the consent of the lessor. Hak Sewa cannot be used in the form of a mortgage, nor can it be registered with the National Land Agency. Subject to the conditions of a lease contract, a foreigner may lease an empty plot of land, build permanent buildings on the land and resell the remaining balance of the lease term to any third party by way of a sub-lease or transfer of Leasehold Right. Leases of office space, factory buildings and residential premises are all examples of Hak Sewa titles. Residential properties can include apartments, condominiums, villas and houses. Hak Guna Bangunan or HGB title entitles the holder to construct and own buildings or other structures on the land in state-owned land (Tanah Milik Negara), freehold land (Hak Milik) and HPL (Hak Pengelolaan) land. This is the most common title for residential, commercial and industrial properties. An HGB title can be owned by individuals of Indonesian Nationality, Indonesian legal entities, including Foreign Capital Investment Companies (Penanaman Modal Asing/PMA), or Domestic Capital Investment Companies (Penanaman Modal Dalam Negeri/PMDN). Thus, any legal entities such as limited liability companies (Perusahaan Terbatas/PT) which are established under Indonesian Law and domiciled in Indonesia, may obtain an HGB title. However, an HGB title is not available for foreign individuals. An HGB title is granted for an initial period of up to 30 years and can generally be extended for an additional period of 20 years. Subsequent extensions are at the discretion of the state and may be renewed for another 30 years. An approved capital investment company (i.e., PMA or PMDN company), may obtain HGB rights for a period of 80 years (i.e., 30 year initial term, plus 20 year extension term, plus 30 year renewal term) by payment of certain up-front official costs (Uang Permasukan). HGB title over Freehold (Hak Milik) land is valid for a period of 30 years only. Any extensions beyond 30 years would be subject to a new agreement with the landowner and registration of a new HGB/Right to Build title over the privately owned land. An HGB/Right to Build title can be sold, gifted, exchanged or bequeathed by an Indonesian and/or encumbered by a mortgage. This title is issued to the owners of residential, commercial or retail units in multi-storey buildings such as condominiums, strata-title offices and trade centers. The title’s validity period depends on the expiry date of the land right of the plot on which the building is located. Other certified titles in variation to the above are also available depending on the purposes and arrangements between the land occupier and the land authority. Examples of other certified titles are ‘Rights to Build and Operate’, ‘Rights to Build over Rights to Manage, ‘Rights to Build over Freehold Title’, etc. Vacant land with Right of Use title. In some areas such as Bali, foreigners may team up with a local to create an arrangement called “nominee” in which the name recorded in the SHM (Sertifikat Hak Milik/Freehold Certificate) is the local’s but it is held by the foreigner by means of a notary agreement. However, ‘Nominee’ agreements for land ownership are prohibited if the basis is to transfer restricted land rights (State owned land) to foreign parties. Foreign parties are only entitled to land under a Right to Use (Hak Pakai) or Leasehold agreement. More specifically, the Agrarian Law has expressly stated that freehold land can only be owned by Indonesian citizens or legal entities as determined by the government. If you require further information about property ownership in Indonesia, feel free to contact us.